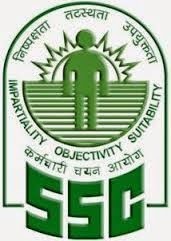 SSC CGL 2018 Notification has been released on 5th May 2018. The online application process started post release of official notification by SSC. The entire application process is to be completed online. Application fee of Rs. 100/- is to be paid by General Category Candidates. No application fee is required to be paid by female candidates and candidates belonging to reserved category. The Online Application Process started on 5th May 2018 and will end on 4th June 2018. Offline mode - In case, candidates wants to submit application fee through offline mode, they can select offline option in payment window and proceed to generate bank challan to submit the application fee for SSC CGL 2018 Exam.